1Slice the watermelon, remove seeds and dice it into very small pieces. 2Add the sugar and squash the watermelon and sugar together, then add the water and stir until all sugar dissolves. 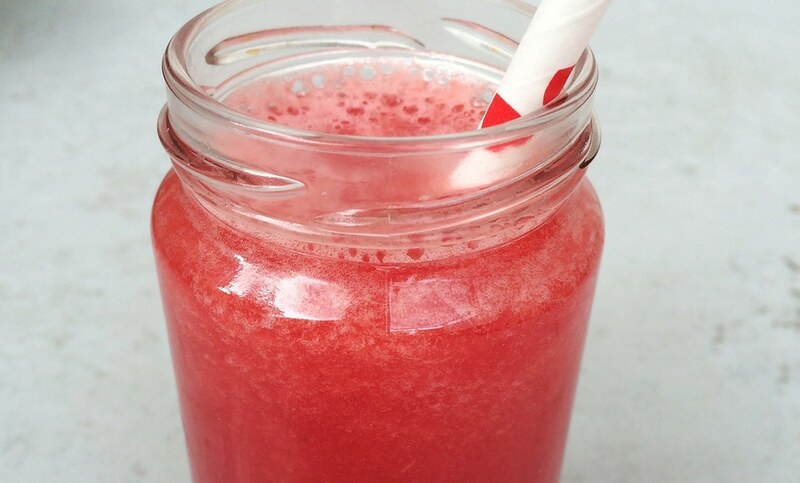 4Note: If you would rather not “eat” your drink, use a blender instead of dicing the watermelon. How many servings does this make? And how much juice is in a serving?